Every year for Christmas I have the kids make a short list to mail to Santa. The rules are simple: you can have up to 10 things on the list, and you have to put a “star” by the top 3 things you really want. They understand they may not get anything on the list, but it makes them think about what they really want, and I have a clue what to get them. What’s interesting about their letters to Santa is there are no Zhu Zhu Pets, Squinkies, LaLaLoopsie dolls, Monster High dolls, or any other “hot” toy – other than the Nerf Stampede. The lesson to be learned here is, maybe it’s not so important to know – or care – about the “hot” toy lists. Maybe it’s more important to have a dialogue with your child, and talk about their hopes and dreams for the holidays. Then balance that with your budget and what you feel comfortable giving. What did your kids ask for? Were you surprised? Our family has 4 favorite holiday specials: The original Dr. Seuss’ How the Grinch Stole Christmas (not the Jim Carrey live action one), A Charlie Brown Christmas, Rudolph The Red Nosed Reindeer, and Arthur’s Perfect Christmas. Opening with a riff on the magical Pachelbel Canon in D (my heart-melting favorite classical music song), Arthur’s Perfect Christmas has bright cheerful animation, catchy original tunes, along with wonderful and touching story lines. Entertaining and educational, it also explains the many different ways to celebrate the holidays – Christmas, Hanukkah, Kwanzaa, Saint Lucia – and Arthur’s Dad even cooks an authentic, time-of-Christ Christmas dinner. 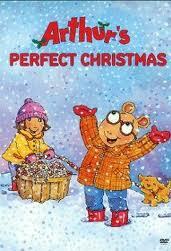 Check the online schedules of your local PBS stations to see when Arthur’s Perfect Christmas is on in your area. Arthur’s Perfect Christmas is appropriate for all ages, created by Marc Brown, and copyright 2000 PBS Kids. 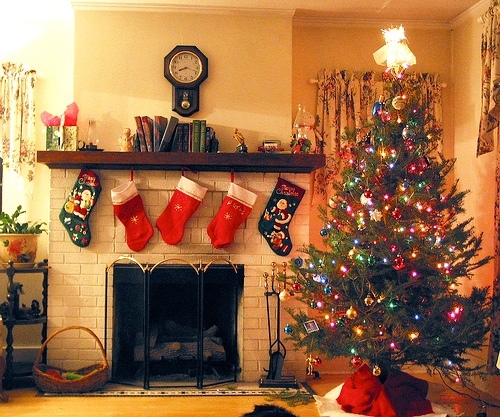 Are you in the holiday spirit yet? Grab your kids and listen to the mens a cappella group, Straight No Chaser performing their holiday hit “The Twelve Days of Christmas”. Time for me to find those Christmas lights… Enjoy! Thanksgiving weekend we took the whole crew to see Tangled, the new Disney movie about Rapunzel. 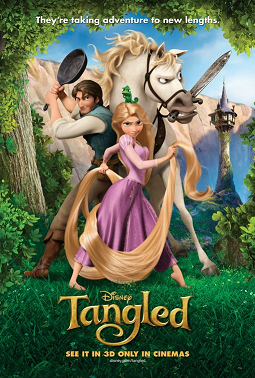 Rated PG, Tangled is a new twist on the traditional tale, and stars Rapunzel – a lost princess with magical golden hair, and Flynn Rider – a swashbuckling charismatic orphan thief. All my boys, and my daughter loved it. And I shed a tear or two. It was visually beautiful, laugh-out-loud funny, with a moment of tear-dropping sadness and a warm, happy ending. Appealing to both girls and boys, Tangled stars Mandy Moore as Rapunzel, Zachary Levi as Flynn Rider (aka Eugene Fitzherbert), and Donna Murphy as Mother Gothel. There’s also Pascal, Rapunzel’s comical, color-changing chameleon companion and Maximus (yeah!) the Head Palace Guard’s horse, who is brave, valiant, determined, and – oh yes – thinks he’s a dog. I won’t tell you how it begins, because Disney has built a delightful backstory into its tale. Let’s just say Mother Gothel is a selfish, conniving woman who kidnaps Rapunzel as a baby, and raises her as her own daughter. Mother needs Rapunzel to stay young – when she sings a song, Rapunzel’s magical golden hair glows with healing and life-giving rejuvenation powers. If Rapunzel’s hair is cut, the magical powers disappear and it turns brown. So Mother Gothel locks Rapunzel in a tower and tells her the world is a dangerous, awful place. The tower is beautiful inside, and Rapunzel has everything she needs. She is protected and safe. So why would she ever want to leave? Rapunzel has watched, for 18 years, lights that dance in the sky on her birthday. What are they? And why do they happen on her birthday? Rapunzel wants to know. She needs to know. Flynn is a thief, who – after double crossing his partners – finds Rapunzel’s tower and thinks it’s the perfect place to hide. He has no idea what he’s walked into, and soon greets a frying pan with his head. After the manipulative Mother Gothel firmly tells Rapunzel she will NEVER leave this tower, Rapunzel takes matters into her own hands. If Flynn will be her guide and take her to see the lights, then back home to the tower, she will return to him the satchel with the stolen crown (which she has hidden). My favorite part of the movie is right after Rapunzel leaves the tower. When she dances, barefoot, in the luscious green grass, and swings wildly around a tree on her hair. She’s free! Which she finds alternately exhilarating and terrifying. She’s chasing her dream – but does that make her an ungrateful, unloving daughter? But Flynn doesn’t really want to deal with this beautiful, wacky girl with her long, long golden hair. Flynn takes Rapunzel to a tavern filled with thugs and ruffians, to dissuade her from her quest. ‘The world really IS dangerous, so just give me the satchel with the crown, and go back home, and I can be on my way’, he essentially tells her. Instead, Rapunzel opens her heart to the thugs, and they in turn open their hearts to her. Everybody has a dream. Everybody wants to believe their dream can come true. Soon, the Palace Guard and Flynn’s old partners are after Flynn, Mother Gothel is after Rapunzel, and Flynn and Rapunzel are falling in love. In the background are the King and Queen, older but still deeply missing their princess daughter, along with the whole kingdom. At dusk, the King and Queen release their lantern, to commemorate the lost princess’s birthday, and then gradually, every person in the whole town lights and releases their own lantern. Soon the entire sky is filled with glowing, drifting lanterns, and it truly is a magical moment filled with golden light and beauty, hopes and dreams. In the end, not only does Flynn save Rapunzel, but Rapunzel saves Flynn. In more ways than one. A creative retelling of the classic Rapunzel tale, Tangled is an inspiring movie appropriate for all ages, filled with gorgeous, dreamy, lush rainbow sherbet colors, and exquisite attention to detail. The music and songs suit the film perfectly, and are sure to become Disney classics. Tangled is Disney’s 50th animated feature, and the most expensive animated movie ever created – at $260 million and 6 years in development. Producer Glen Keane worked to create a movie about the German fairy tale, Rapunzel with an artistic style that is “romantic and lush”, with “luscious hair”. Tangled was directed by Byron Howard and Nathan Greno, with original music by Alan Menken and lyrics by Glenn Slater. A part of the film may be slightly scary for young children, as a character gets stabbed, then dies. You see the knife, and the blood stained shirt afterwards briefly, but not the actual stabbing. Note: This review is for the non-3D version; due to family budget constraints, we opted to not see this movie in 3D, but at a regular matinee.